I quit my 15 year career as a lawyer. Now, I’m a mountain nomad. True story. No joke. It’s only been less than a month since I sent in my resignation to my boss and even now I’m still in denial that this long term career has actually ended. Never in my lifetime did I dream of this until two and a half years ago when material possessions, a high status of a profession and the chaotic city life finally deprived me peace from within despite my outward display of having it all. I’m now here in Ladakh - a region in India where the Himalayas are in display before my eyes. As I write this post, I’m reminded that what I’ve decided to create for the rest of my life is an unpredictable and unknown path to be determined on a more frequent basis. No more days of routine led life. Each day is driven by what feels right and what I feel inspired to do. How often do we get to live a life like that? Rather seldom, if at all. So, this means I’m making a promise to myself never to take for granted the ability to define this much freedom in my life knowing most of us can’t afford such kind of lifestyle given our relationships and obligations. But is the lifestyle perfect? No. In fact, it is high stress in its own right. Of course, it’s different from the kind of stress I endured as a lawyer. I have to create my own work schedule and focus my time and effort on worthwhile endeavors to expand my social enterprise, Peak Explorations. I also have to devote time and attention towards my media site, Brown Gal Trekker. These two entities combined yield a good amount of work for me. I have no complaints because every task involved in both enterprises is something I would do anyway out of my own inclination. After all, I wake up each day now actually experiencing my own definition of freedom in which I feel aligned with myself. That’s the intangible income I get from becoming the founder of my social enterprise and media site. As a newbie (mountain) nomad, there are still so many things to discover with the new lifestyle but as a start, the experience has already meaningfully recreated purpose in my life which is geared towards the outdoors. 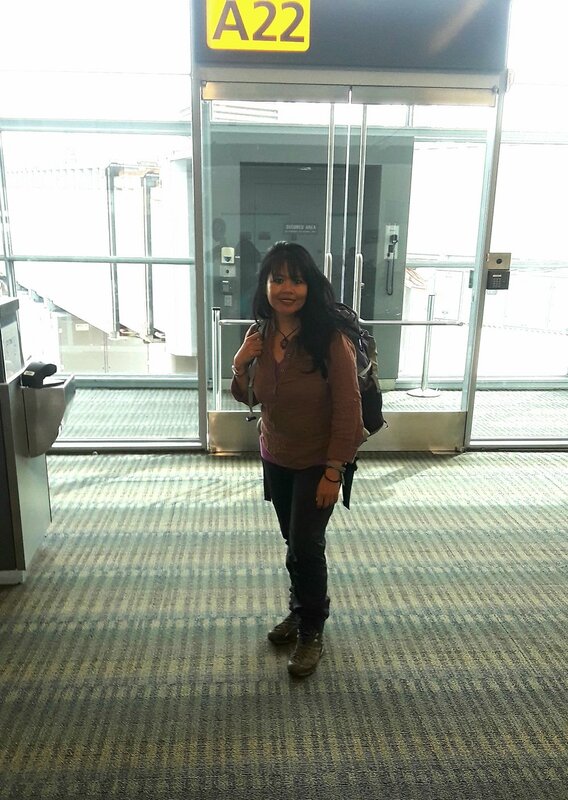 On some days, I’m someone who strikes inspiration on others to hit the outdoors or push their limitations and boundaries by virtue of the articles I write or through teaching backpacking 101 class. At times, I inspire people to travel overseas and venture into places they never imagine going by virtue of the trekking tours through Peak Explorations. At times, I simply inspire people in one way or another by conducting a presentation or via public speaking. And truly, in many ways, just by being me in an authentic manner, I’m already creating a means to inspire others without my knowing it. And so with a lifetime of memories on the road or trail to look forward to, I know that I’d have to cherish each moment and treat each person (or animal) with kindness and love. I may have some of them stay in my life but most will only be there for a moment so it is important to treat the encounter with my loving self and our connection as sacred. I wake up each day knowing that the person or moment I need to further my goals will be right on my path to assure me that I’m on my way to where I need to be. Some will say this new found lifestyle is a rebirth of myself. I agree. There are only a few things in life that can truly shape you and challenge you in such a unique manner. I forge on knowing that the best of me is yet to be molded and created, which is a true gift in and of itself. In the meantime, I get to enjoy the process and surround myself with the right sources of inspiration to get there. Episode 12: Do you hike to heal?